You are never too old to learn and make your life better. These are the words of Deb Baldemore, a Rio Salado College graduate who is living proof that age has no boundaries. 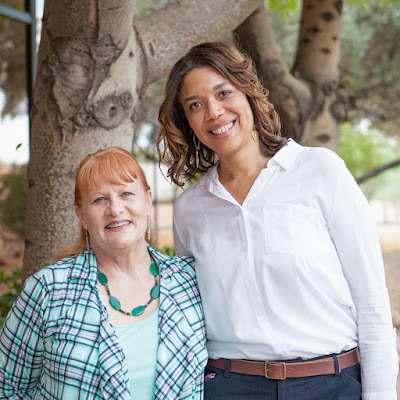 After researching schools, Baldemore decided that online classes would be a good fit, so she contacted Rio Salado College and was put in touch with advisor Gidget Poler. Baldemore enrolled in the public administration program, and excelled in her classes, earning A’s and B’s. She left her nemesis, math class, for last. With her instructor’s help and the assistance of Rio Salado’s tutoring services, Baldemore earned a C in her class and graduated with distinction with an associate in arts degree in public administration. Baldemore continued on her educational journey, enrolling in an online bachelor’s degree program at Northern Arizona University. She again faced her math nemesis, however, this time she was thwarted. After she failed the same math class four times, Baldemore gave up any hope of earning her bachelor’s degree. Then a NAU counselor suggested she get tested for a learning disability. “Ironically, most of my working life has been spent with teens who were at-risk or disabled, but I never thought I too could have a learning issue,” Baldemore said. Testing indicated that Baldemore had a learning disability that affected math comprehension. Earning a bachelor’s degree in public administration helped Baldemore secure a position with the Arizona Department of Education (ADE) working with disabled teens to transition them out of high school into adulthood. The learning did not stop there, however. Baldemore’s supervisor told her about the ADE’s master’s degree partnership with Grand Canyon University. She enrolled in March 2015 and will graduate this September with a master’s in public administration. Wanting to pay it forward, Baldemore hopes to one day teach for Rio Salado College. “I hope to be as great a role model to others as Gidget and the entire staff of Rio Salado has been for me,” she said.